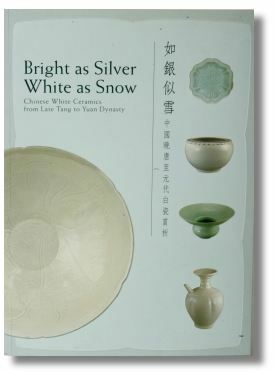 This is one of the most useful books I have found for the study of early Han, Tang, etc. pottery figures. The illustrations are plentiful and streches over such a long period of time that it is possible for the reader to see the stylistic differences that sets the different periods apart. 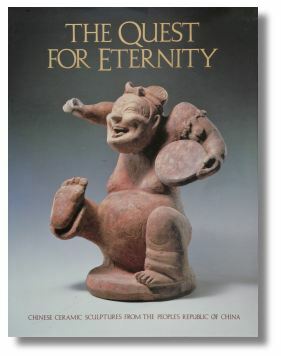 The book is a catalog of an exhibition, organized jointly by Los Angeles County Museum of Art and Chinese Overseas Archaeological Exhibition Corporation, with four essays on Chinese beliefs in the afterworld, the Qin and Han tombs and mortuary architecture, funerary sculpture, and sculptural development of ceramic figures. One of the more useful books on the subject. Not complete but I would not be without this one and for to recommend something to a beginner, this would be my first choice. Considering the price this book is available at, there are no excuse to not add it to your library. This and a similar book with the same name seems to be available for about $1 or in other words, towards more or less the postage. I don’t know how they do this but I think there are no excuse to not get your own copies while it lasts. The work includes all kinds of Tang potteries, not only the better known Tang horses in three-colored glaze, but also lead-glazed and unglazed earthenware, as well as high-fired wares of the Tang dynasty (618-907). 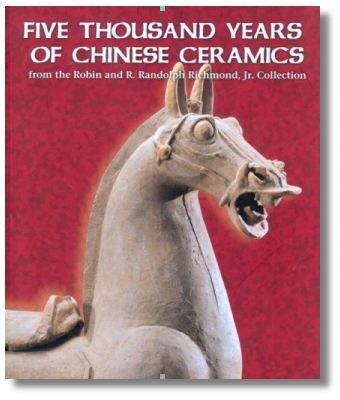 This catalog of ceramic artifacts created in China over the last 5000 years was published to complement the donation to the New Orleans Art Museum in 2000 of the notable Richmond Collection. A chronology and illustrated introductory essay on the history and development of Chinese ceramics is followed by 100 full-page color photographs of selected ceramic objects of many kinds. Full descriptions and provenance details are appended. With bibliography and sketch map. 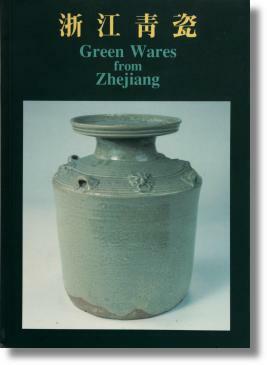 This volume illustrates one hundred works from a significant and wide-ranging collection of Chinese ceramics, including works of the Chinese potters’ art from the Neolithic through the Yuan dynasties (approximately 4000 BC through the 14th century), with works from the major traditions and kilns. It showcases the extraordinary achievements of Chinese potters in both earthenware and stoneware, and in ceramics made for use in this world as well as the afterlife. One of the earliest works included is a product of the late phase of the Dawenkou culture (c. 2800-2400 BC), one of China’s several, co-existing Neolithic cultures characterized by distinctive pottery. Examples of funerary art from the Han and Tang dynasties are included, and finally Song wares that embody a literati aesthetic. That this book is an absolute necessity for anybody collecting Changsha is obvious but it goes beyond that. It is written by a collector and one of those gifted persons who have this elusive “understanding” of what he sees. That talent is very rare and worth taking care of in any form it appears. 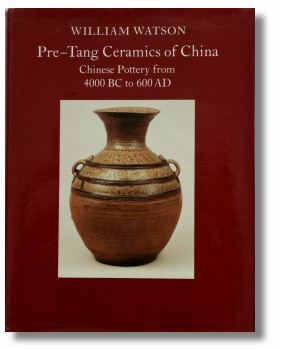 The point being that even if I don’t particularly were looking for Changsha pieces, I would benefit greatly from this book because it helps me understand early Chinese pottery, sharpen my eyes and help me understand more about what to look for in genuine pieces in general. Besides, it is a quite interesting book. I know this is a bit on the short side for this large book, but go look for it and you will see. It deals almost exclusively with the pottery products from the Changsha family of kilns in Hunan province during the Tang Dynasty (AD 618-907). 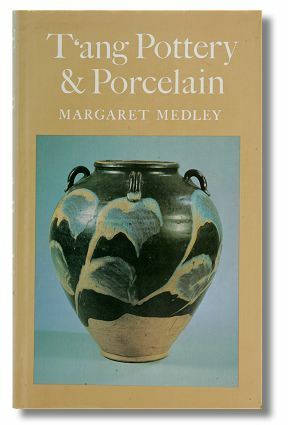 The book includes information on basic pottery culture, historical background, poetry, calligraphy, and ornamentation and decoration of ceramic wares. 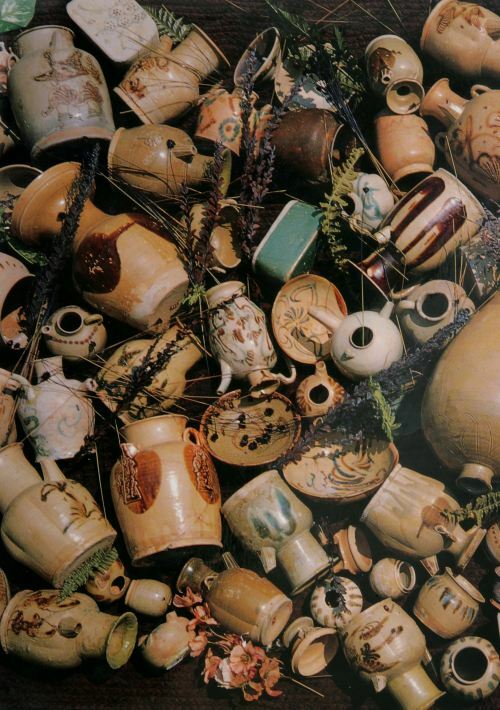 Chinese pottery from 4000 BC to 600 AD. 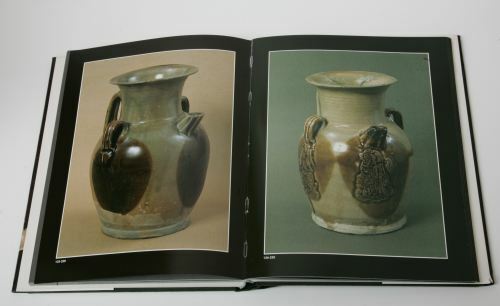 The book divides China into seven ceramic zones and relates these to the developement of different cultures. 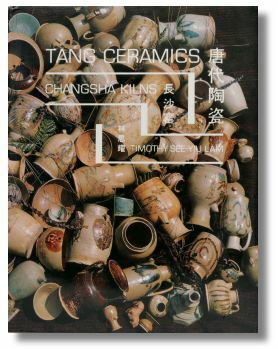 The work traces the history of ceramics from the earliest appearance of pottery to the Tang dynasty. Information is organized geographically by regions with descriptions of local characteristics; the development of kilns and vessel shapes and models by using archaeological reports and other studies by Chinese scholars. 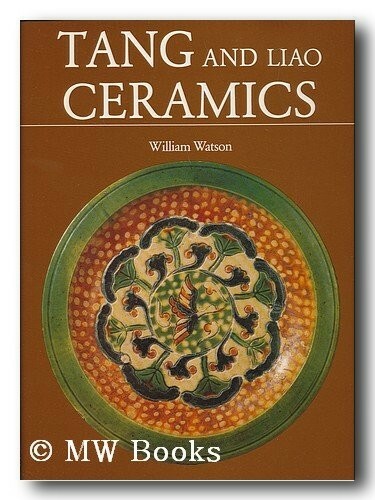 I don’t know of any better book on early Chinese pottery, still this subject is so large and complicated it needs a library of its own. I can also tell that if you prefer glossy pictures to academic text, this book might be a bit dry. I still would not want to be without it. That’s the way it is with quality. Boston: Faber and Faber, 1991.